IN a bygone era, the average speed of a steam train was 40kph. 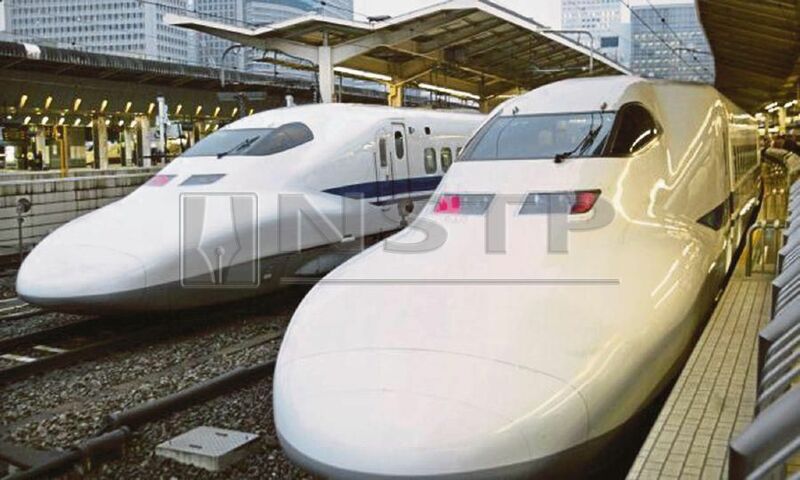 Today, we witness bullet trains — among them, the Japanese Shinkansen, French TGV, Chinese CRH and German ICE. These high-speed trains hit speeds in excess of 300kph. Elon Musk, and others of his ilk, are experimenting with the hyperloop. This train is a pod that will travel through a near-vacuum tunnel to reach speeds exceeding 1,000kph. That means making journeying from Penang to Johor Baru in 45 minutes. Speed is the essence of change in the world today. Adapting to rapid changes is akin to running faster on a moving treadmill. If we slow down, we are most certainly to be thrown off. The public service has managed to stay on the “treadmill” of change in serving the nation. Electronic government, one-stop centres, inter-agency collaboration and deregulation have contributed to vast improvements in public services. To retain its pride of place in society, the public service will have to now make a quantum leap to the equivalent age of the hyper-loop. Only then can the public service continue to remain relevant in the future. There are clear links between digitalisation and competitiveness and economic growth. Businesses and society will invariably look to the public service to help them ride the digital wave. Who will dispute that the US owes much of its innovative muscle to government support? In his 2009 book, Boulevard of Broken Dreams, Josh Lerner of Harvard Business School highlights the crucial role of the US Department of Defence in the development of the Internet and in propelling Silicon Valley’s early growth. Similarly, the salubrious hands of the state are apparent in transforming Germany, Singapore and Tel Aviv as hubs of high-tech entrepreneurial activity. To play its part in furthering Industry 4.0, the public service has to be tech-savvy and agile. Here are some suggestions. the opportunities and challenges of Industry 4.0. Kudos to the public service for being in the process of formulating one. The plan should aim to accelerate innovation, entrepreneurship and advanced technological adoption to harvest the benefits of Industry 4.0. The World Economic Forum predicts a net loss of five million jobs in 15 major developed and emerging economies by 2020 as robots replace humans. Malaysia will lose half of its unskilled and semi-skilled jobs by then. Job losses may slow down technology assimilation. Therefore, digital skills are required. The public service should seek to overhaul the educational curricula to promote the development of new skills. It should strive to reskill workers to minimise income inequality arising from the disruption. Second, regulations should be fit-for-purpose for the robotic age. Cyber-security, data protection and privacy laws should be top priorities. Standards in engineering and logistics technologies, and IT should be harmonised with international benchmarks so that local businesses can be plugged into the international supply chain. Third, the public service should become conversant with and use the latest technologies in service delivery. This is because citizen expectations of digital services have increased to commensurate with their digital savviness. Accordingly, mobile technology, single-point portals and multi-channel platforms should become new vehicles to deliver services. Fourth, big data analytics should be employed on the immense amount of data that the public service has gathered over the years. The analysis can help the public service monitor public perception of its services while predicting their future demands. Such scrutiny can help the public service align its priorities to citizen needs. Data analysis of the information in its human resource management system enables the public service to better recruit the right talent and place them in the right positions. Data analysis can augur for evidence-based decision-making in contrast to the more intuitive, seat-of-the-pants approach. Data analytics can help the public service personalise its services. In education, for example, teaching can be customised to suit the intellectual abilities of students. The health sector has gone from stethoscope to augmented reality. Combined with big-data analysis, the Health Ministry is spoiled for choice in harnessing new technologies to diagnose and treat diseases. Sharing public-service data can help the private sector develop applications to improve services.